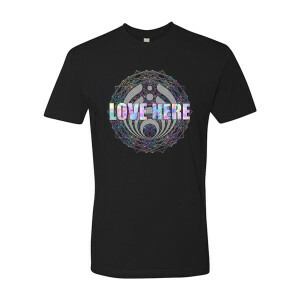 Black unisex t-shirt with Reflective "Love Here" artwork on front and back. 100% of the proceeds from this shirt go to charity. Love the quality of this shirt and that it’s for a good cause. I am a little disappointed that it appears to be a lot more colorful in the photo’s but in person the colors are not as vibrant. I *LOVE* this shirt. I wore it Night 1 at Spring Gathering and it is so soft and comfortable, fits perfectly, and the design is SO beautiful!!! 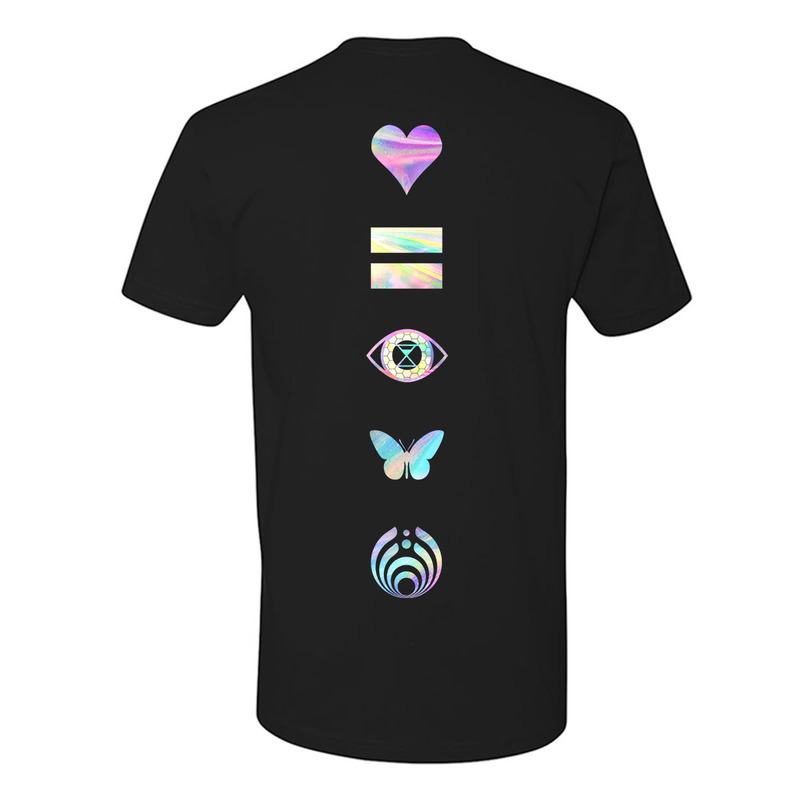 I wore it this past weekend to a different show in town and got tons of compliments from other bassheads &lt;3 The fact that all proceeds go to charity gave me the impetus to buy one immediately and I'm in love with it. Thank you, Bassfam, for all that you do! I love you butterfly beings! Very cool shirt and love that the proceeds go to charity. Super soft and fits great-only minor (not really an issue) but I thought that the ‘love here’ and back symbols were in the reflective type foil but love how it is none the less.